and the world did not end. The earth did not stop its wild rolling. The ground did not heave and split apart. The sun did not blink out. As strange and unbelievable as it sounds, my son left, and the clocks kept right on spinning. He picked up his backpack, and he walked out the door, and then he was gone. And so it goes. I miss him. The air in the house is a little thinner, a little more specific and lonely, but this morning, the dog still begged at the door like he does everyday, and the girls still needed their hair braided and their lunches packed, and so we kept on. But because it felt different for them too, I painted their nails, and I let them watch TV before the bus came. The change in our routine feels off, and it reminds us all that our days here running out. The girls will be sad. They tell me they will miss their friends and their room and their walks by the sea. They are quieter today. On Friday, my son’s class gave him a going away party. There was cake, and his entire homeroom signed a Canadian flag and presented it to him with a gift card. He was surprised, and when he told me about it later, I saw something shift in his face. In that tiny moment, I saw him realize that he had belonged. That people had noticed him. That he had become part of a community without even realizing it. In that moment, I saw him understand that he may never see these friends again or come back to this island. I saw him understand the impossibility of change. He was ready to move on, but it wasn’t going to be as easy as he thought. One of the reasons we brought our children here was to make the world smaller for them; to give them the opportunity to engage in something that challenged their perspectives, and in these last moments in Newfoundland, I think Leo got it. Maybe it’s good that he is making this transition without us. It’s giving him something that is entirely his. It’s giving him a sense of agency for this next stage in his life. And besides, he’s not all the way gone yet. Maybe none of them will ever truly be all the way gone. This morning, I opened a book I’ve been reading and out dropped a dried wildflower. I remember the afternoon. Iris and I were lying on a blanket in the yard reading, Joe and Leo were wrestling in the grass, and Ruby was doing cartwheels nearby. 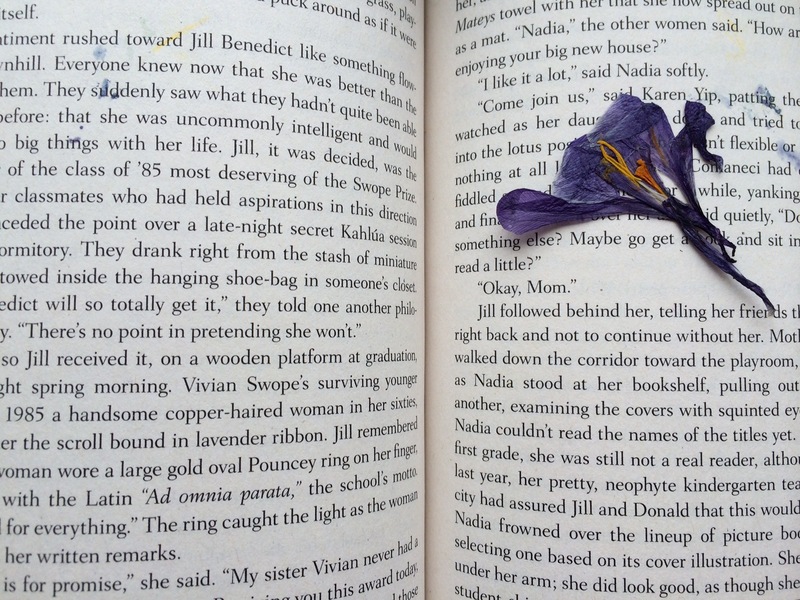 Suddenly, she came running over, a bright purple flower in her hand. “For you,” she said. “I love it,” I replied and pressed it in my book “to save it forever,” I told her. Perhaps, today, all over this wild world, mothers are pulling books from shelves and slips of pressed moments are falling out in their hands. Maybe this is how we keep our children forever, how they come tumbling back to us again and again, never fully all the way gone. Thanks, Erin! Miss you too. When will I see you again? I love this, Jen. You are so talented You writing hits me right in the heart.